Glenwood Ranch is situated in the hash bushveld area of Kwazulu Natal, South Africa. 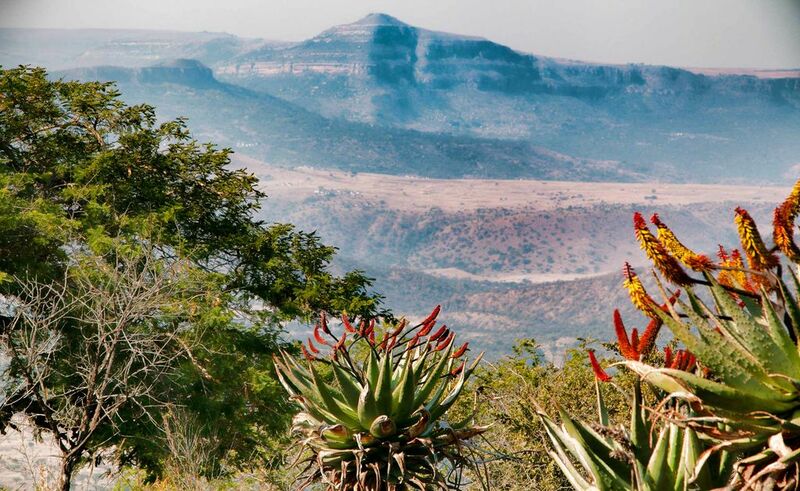 This mountainous farm is off the grid and offers a great break away and a true African Experience. The ranch host not less that 9 different game species. The almost 700ha of land is untamed and there are two ravines that crosses the ranch. The house is an old farm house that was renovated in a guest house. It has a main room with en-suite bathroom that can sleep 2-3 people. The second room sleeps 2 and also has a loft that can sleep another 2. For bigger groups we can put extra beds down the ally, dormitory style. The house can with ease accommodates 10-12 people. It was also fitted with satellite TV for those who require entertainment at night. Activities includes game drives, night drives, sleeping in the veld, swimming in the potholes. An historical tour of the "Battlefields" of the Kwazuu Natal area, and other farming activities. The house is services twice a day. The good thing is that the ranch only accommodates ONE group per stay. You wont share the house or the rest of the ranch with anybody else. It has a huge braai (BBQ) area for some good entertainments and story telling in the evenings. Glenwood Ranch is not a five star hotel. We do not cater for that. If you are looking for a true African experience - we are your choice. Experience the South African bush like never before. Tranqual bush break away in South Africa. Martienie and Marieta were excellent hosts. The ranch is beautiful with all the wildlife. Enjoyed the gamedrives and bush picnic. We able to experience an African break away at my age. Was something I never thought were possible. Absolultely some place to consider.